Respect the Logo | Klocke Design Inc.
Back in January, we talked about how brand standards can make your logo and other elements more meaningful to your target audience. While all of your brand elements deserve this treatment, your logo is one of the most essential assets. As a result, it gets an extra level of respect in branding guides. This clear space is like a kind of “force field” around your logo. 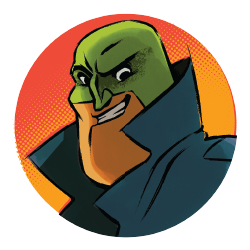 No other design elements can be placed in that area (though depending on your standards, it might overlay a colored background or neutral area of an image). The logo must also have at least the same amount of space from any edge. So in a print brochure, for example, the clear space defines the minimum distance the logo must be from the crop or trim. But why should you care about this? Why not just use that extra space to make the logo bigger? Having the right amount of space around your logo ensures the viewer isn’t distracted by other elements in your design. The amount of space needed changes as the logo gets larger or smaller. The larger the logo, the more space is needed for clear recognition. Designers typically tie the clear space to an element of the logo, such as the icon or a prominent letter, so that the proportion of white space remains consistent. 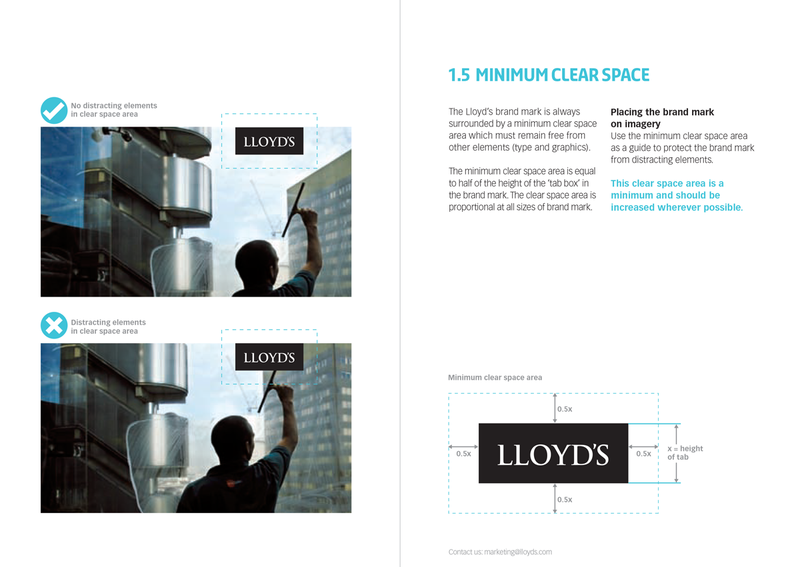 For the Lloyd’s logo the clear space is defined as half the height of the block that contains their name. Click here to see the full page from the Lloyd’s standards guide. 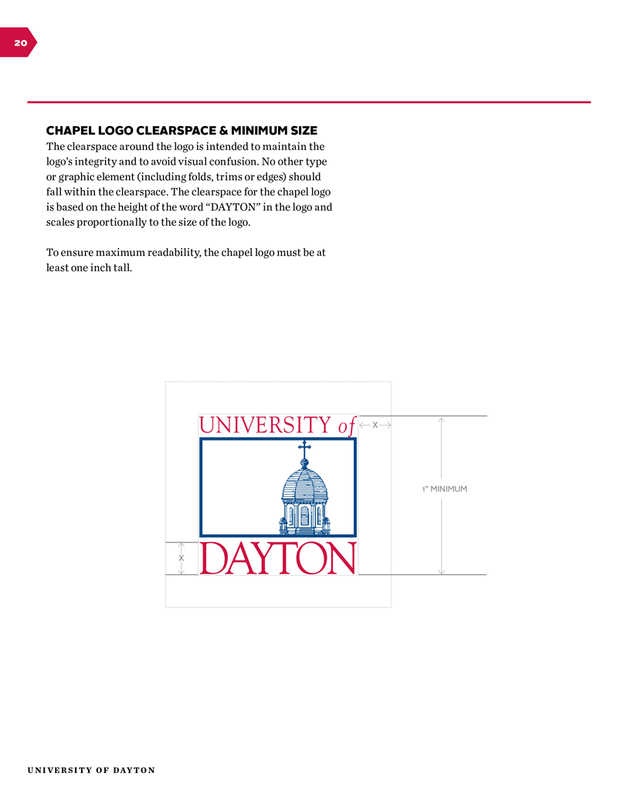 For the University of Dayton the clear space is the height of the D in Dayton. Click here to see the full page from the University of Dayton standards guide. For Walmart it’s the height of the lower-case r in the name. Click here to see the full page from the Walmart standards guide. Respecting the designed proportions of your logo and its clear space maintains its effectiveness. It looks like you at your best, with your hair in place and your clothes nicely pressed. Violating the clear space undermines your logo, just as having a bunch of friends photobombing you make you look silly, no matter how well-dressed and groomed you are. This is also why those guidelines tell you not to stretch or squish a logo. Do that, and the logo stops looking like you — or worse, it looks like your friends just Instagrammed you after you slammed 5 shots of tequila. And that’s not an image that will give your customers or your audience much comfort.